I’ve got some Highland Park reviews for you today. Some older ones actually. Highland Park is probably one of my favourite distilleries. The 12 is good and can be a pretty good deal, the 18 is great and the range just logically progresses with age. I’ve got some reviews coming up actually of a huge Highland Park vertical (all the way up to the 40yo! ), but first I’ll finish with these TWE Show Reports. So, this first one is from Gordon & MacPhail. This is the new 2016 release and is pretty cheap for old Highland Park. 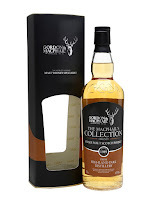 Nose: Soft, obvious age with refill oak, light for Highland Park though, malt and some coal. Taste: Softly spiced at first, then wonderful tropical fruit after a second, it keeps building with pineapple and mango with more oak coming in behind. Finish: Medium length. Very light, the tropical notes fade with oak stepping forward. A lovely natural one at 27 years old. I imagine this is from refill Hogsheads. 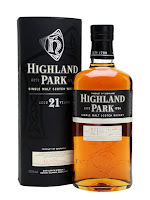 The 21 year old is the only Highland Park that I haven’t tasted in their normal age stated range now. So, I had to have a taste at the whisky show to complete my set of notes. Nose: Deep, rich and decadent. 1st fill Sherry notes, raisin and stewed fruit. Taste: Spicy! Intense Sherry, lovely smoke going through it, cooling ash, raisin, fig and date. Really rich and just great. Finish: Medium/Long length. Coffee and dark chocolate. A really great one. The higher Abv is really helping this and it is a really nice step up from the 18. These are getting more expensive these days though.